I chair a rather unique organisation. 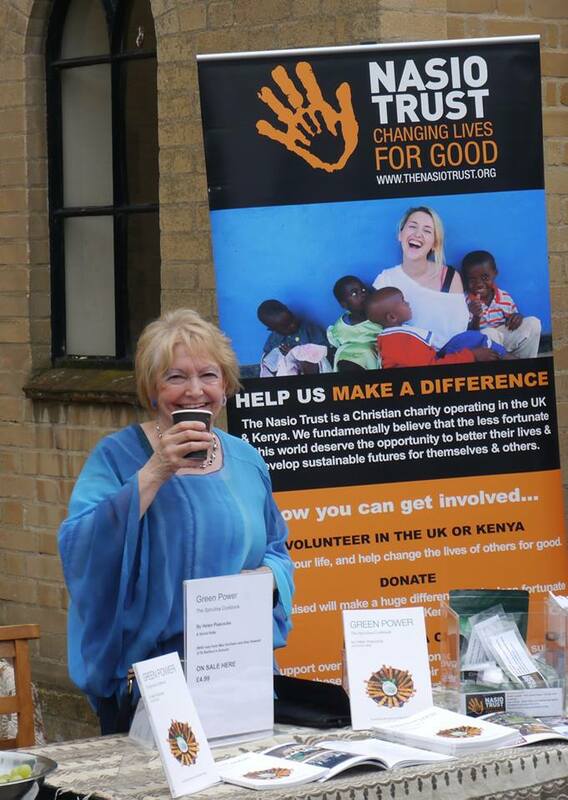 For 48 years my village of Kennington has chosen to raise money annually for an overseas project which we select by vote. When KOA met in January 2014, we discussed three possible projects but the one which won the vote was the Nasio Trust’s spirulina project. It may seem strange that KOA chose to raise £25,000 to fund a unit comprising 40 tanks to produce a food supplement called spirulina? 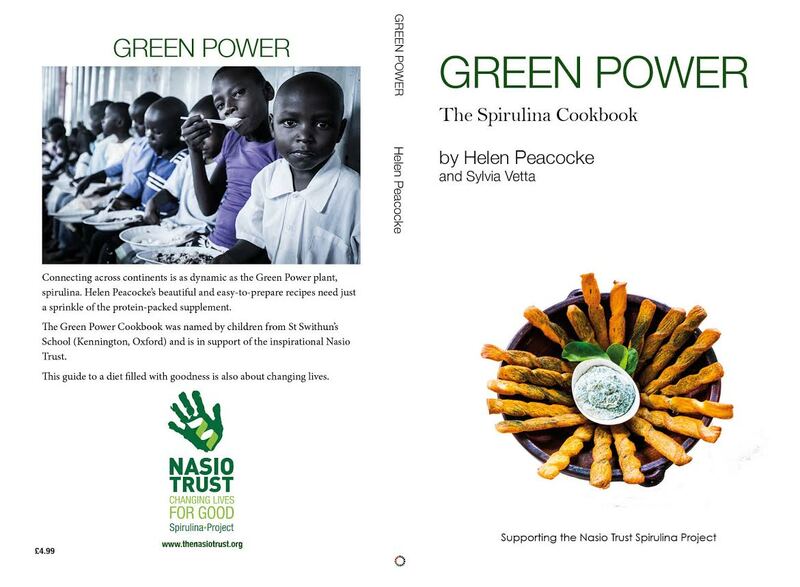 If you read Green Power the Spirulina Cookbook you will discover why. This book is the eighth I have written or contributed to . Scroll down my BOOK PAGE to see them all. The founder of Nasio, Nancy Hunt and I are not sure exactly how the idea for this recipe book was broached: it was probably me who raised it as as possibility. But who better to develop clear appetising and beautiful recipes than Helen Peacocke who has produced a recipe every week for 25 years for The Oxford Times. She volunteered her time and talent absolutely free of charge and this book would not have been possible without her. Philip Hind has also been generous with his time. 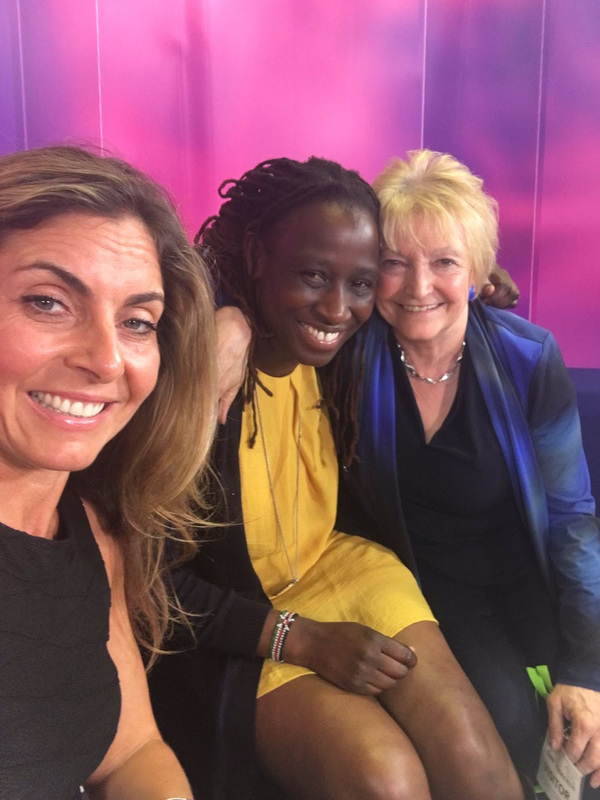 I tell the inspirational stories of lives changed both in the UK and in Kenya and of friendships made across continents. I think Philip has produced a beautiful clear and colourful book. 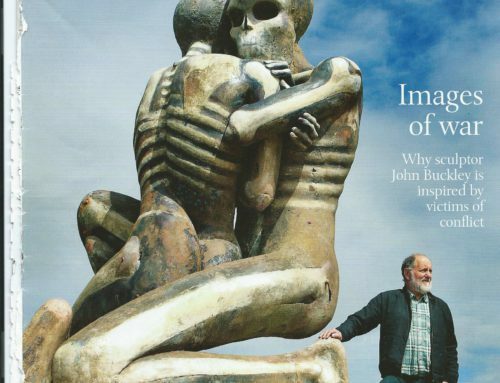 It will be on sale for just £4.99 from June 18: an absolute bargain! Helen and I go back a long way! She writes walk books with dogs to dog friendly pubs. Her dog’s perspective on the walks is memorable. We finished the Free Kennington Literary Festival 2010 ( when I organised such things before we became a community library and had to concentrate on raising money!) 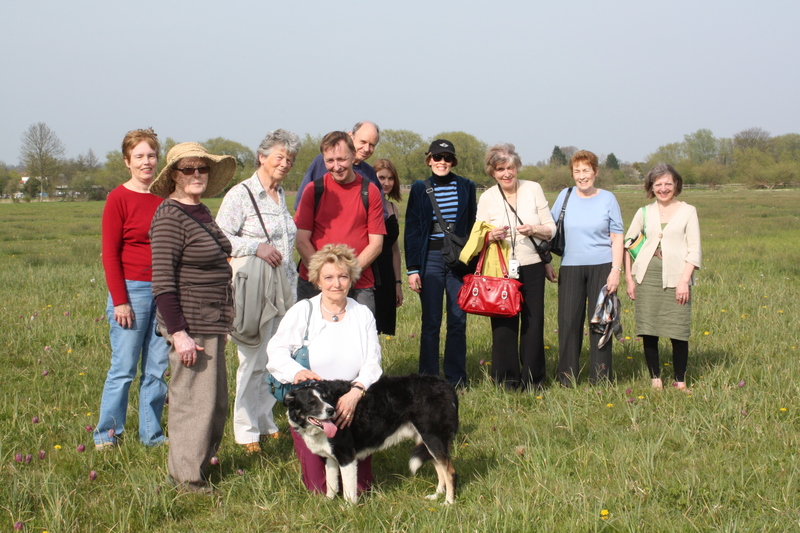 with a walk to see the fritilleries on Iffley Meadow. 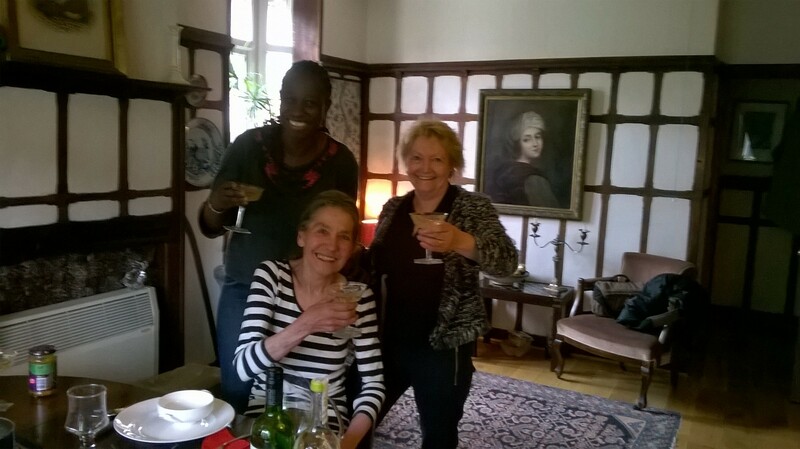 Helen, Nancy and I celebrated when the digital copy winged it’s way to ssmedia for printing. Green Power’s first outing was at Kennington Fete and on Tuesday June 21, Emma Jane Taylor interviewed Nancy and I for Talk Oxfordshire TV. I met Nancy through KOA . My village of Kennington, through KOA, funded the skin care programme implemented by Standing Voice mentioned in this feature. We have introduced Standing Voice to the Children’s Radio Foundation and part of the 2016 KOA project is the training together of young people with and without albinism to be radio reporters to broadcast to 3 million Africans in the hope that it will reduce prejudice. CRF’s director Charlotte Bannister Parker is a castaway!